It's been several days ago that we saw the headlines of another Chinese “bird's nest”. For obvious reasons we couldn't wait to check out another of the magnificent new stadiums in China. 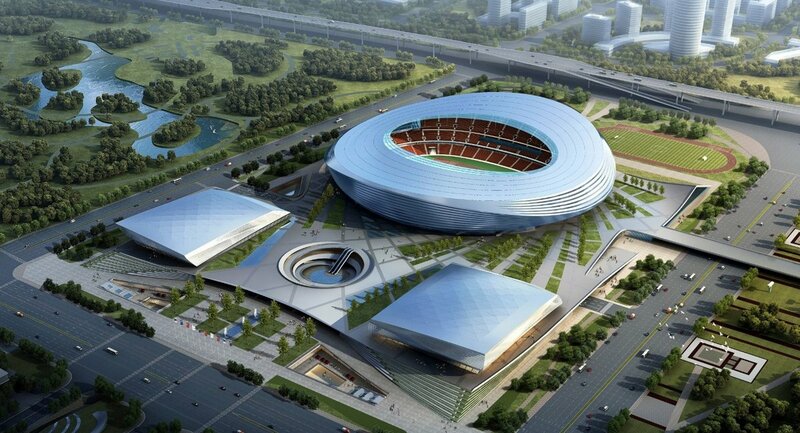 But in terms of similarities to the Beijing's National Stadium it's really nowhere near, at least aesthetically. Far more interesting is how a stadium and surrounding complex of this size can remain unnoticed for so long not only by Western media overall but by us. We really tend to dive into the Chinese internet and browse websites by keywords in Chinese, seeking new stadiums being built in this great country. And yet we haven't spotted this one until now. Just another argument showing how much is going on in China. This almost-Olympic-sized complex is being built in western Zhengzhou (Henan), beside the city's fourth ring-road. It will occupy 57 hectares and become part of the district's largest leisure precinct. At its heart, a massive stadium for 60,000 people. East of it, a 16,000-seat indoor arena and 3,000-seat natatorium. Around the three main buildings a large public plaza and partly-indoor training facilities. 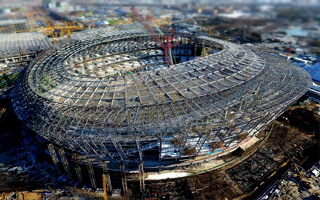 The main stadium, designed by China Southwest Architectural Design and Research Institute, has been dubbed by parts of the online community as the second “bird's nest”, supposedly following the example of Beijing's national stadium. However, aesthetically very few similarities can be seen despite the nickname being accepted by mainstream media in China. While the metallic outer wrap consists of metallic weaves, the main similarity to Beijing is how much steel the project needs. The primary steel structure, covering both the roof and facades, is expected to weight a stunning 20,000 tons, spanning across 300 meters! 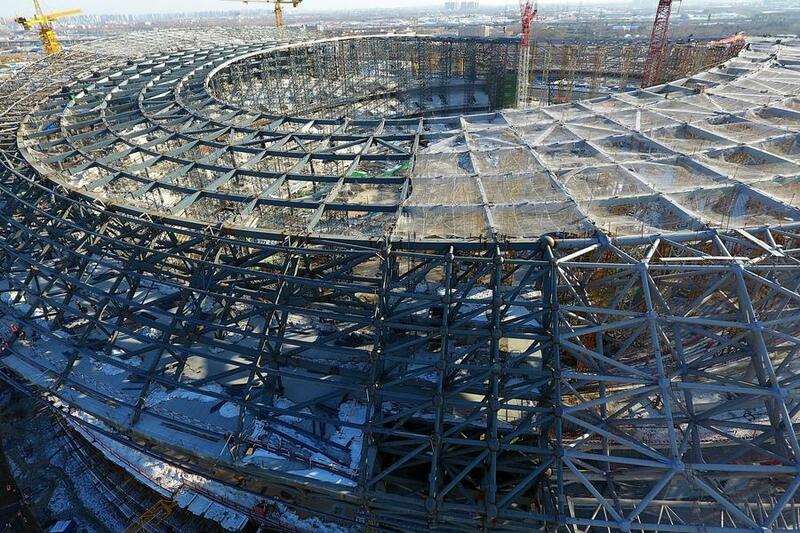 Upon this structure not only the roof's sheet will be based, but also one of China's largest stadium solar plants. Construction of the stadium began in April of 2016 and by October 2017, all primary concrete works have been concluded. Opening of the entirety is planned for 2019, for the 11th National Traditional Games of Ethnic Minorities. 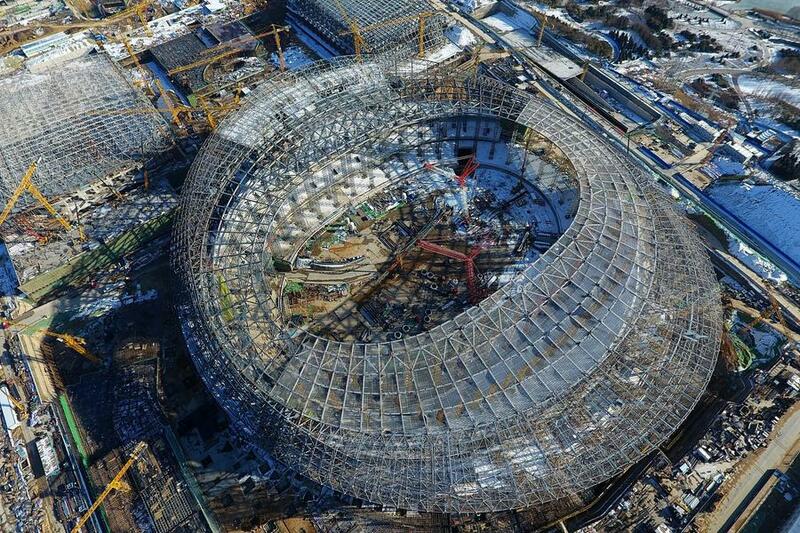 After inauguration the stadium will outgrow all other sports arenas in the Henan province.